" Ever since I started in bands at a young age, it was never about pushing to make it "big" in the music business.....for me, it was always about the celebration-at-hand...whether it's a wedding, anniversary, birthday party..whatever.. ....because it's about the positive things in life.....we've played for a couple's first dance together...and a couple's last dance together.... ....for me...it's really about setting up the joy of life for those few hours.. ......so...for that reason, the Mojo Manny band is honored to receive this award by Gigmasters & our clients...thru these gigs, we've met sooo many wonderful people...Thank you!!!... ..Now on to the next & let's rock this Rock!!!...LOL!.... " the "Mojo" Manny band!
" It is very gratifying that all the couples who have chosen me to perform their Wedding Ceremony have been highly satisfied! I strive to be a source of calm and reassurance for stressed Wedding Planners. I also enjoy the inspirational/motivational speeches and am retained for. 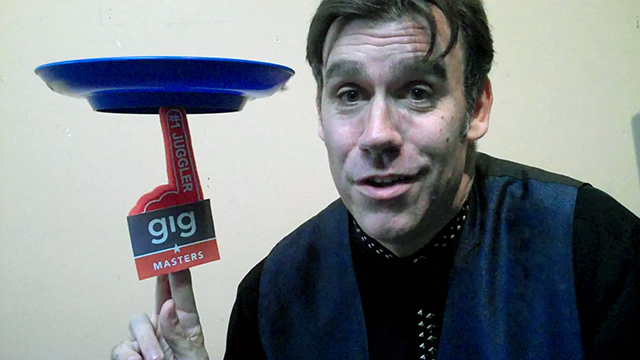 Gig masters certainly simplifies the inquiry and booking process. " Wayne Hill Sr.